Posted on August 27, 2016 by . 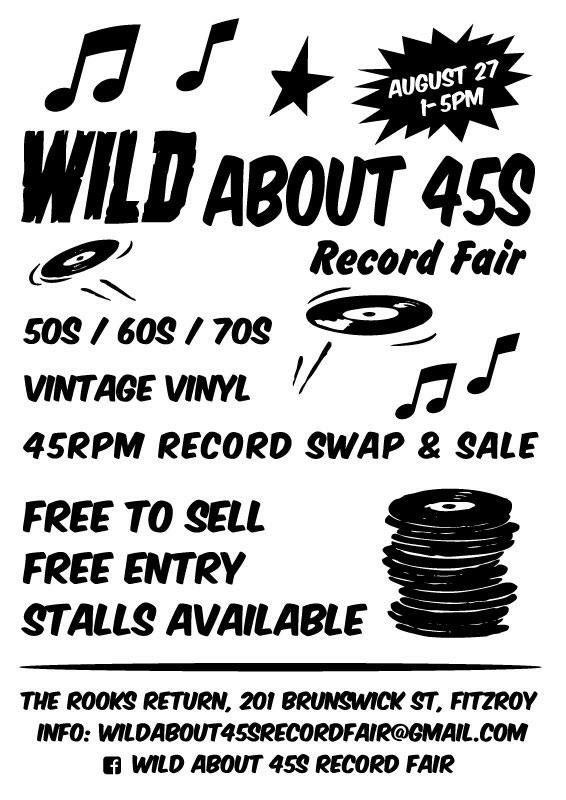 The first of it’s kind here in Australia, Wild About 45s Record Fair aims to gather dealers, collectors and DJs to sell, trade and celebrate the 7″ 45rpm vinyl single. The emphasis being mid century dance music from Soul to Ska, Rhythm and Blues to Surf and everything in between, wherever it was made. If it’s cool, killer and on a 45s, then we dig it! Address: The Rooks Return 201 Brunswick Street, Fitzroy, Victoria.